The main challenge of acrylic painting is keeping the paint wet enough to paint with. This post addresses the problem as we solve it in my Painting: Beginning and Beyond class at the Palo Alto Art Center. Thanks and acknowledgments go to Julia Foug for refining this excellent system and taking all the how-to photos. I decided to add it to the beginner’s instruction, and so made a blog post for you to read ahead of class. Check out my acrylic materials page for a shopping list and a pre-selected cart on Jerry’s Artarama. If you don’t have these supplies by first class, don’t worry, I have some extras for beginners. Acrylic painting dry so fast, that as you are painting with them, mixes dry and have to be remixed. Paint gets wasted. Frustration levels rise. Golden OPEN Acrylic paints. These paints contain an additive the slows the drying time of the paint. Golden Retarder. This is a medium that can be added to the paint to slow the drying time as well. A Spray bottle. Moisturize to keep the paint from drying out. About the Sta-Wet palette, or making your own out of what you have. There is one ingredient that you need to buy— sta-wet premier palette refills— thirty sheets. 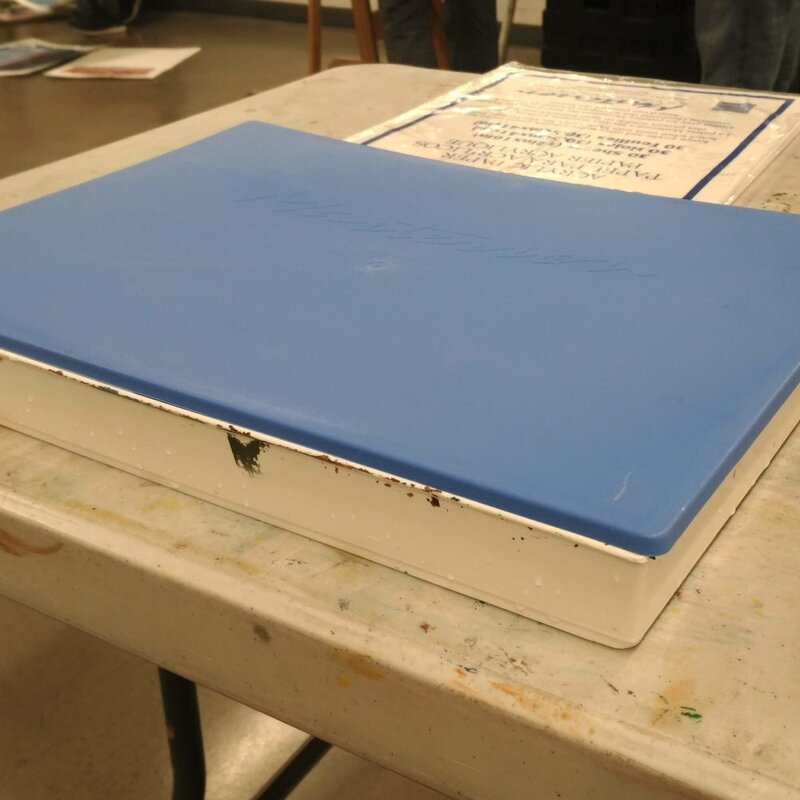 This is special palette paper that allows water to permeate the surface, and still provides the slick and tough surface required for paint mixing. Here is a Jerry’s Artarama link to buying a pack of palette paper. But really, any flat tray will do, a cookie sheet, a piece of plexie or glass. This acts as a extender and medium for the paint and delays the drying time. Step one: Soak the palette paper in the sink. It turns a little translucent when ready— a few seconds maybe. Please bring a roll of nice paper towels, Viva are a painter’s favorite. Step three: Add paint and paint! Spray frequently with a spray bottle. Here are a couple of other good blogs about Acrylic paint moisture management.